I'm afraid I might be slacking off. and just this weekend we concluded the family's annual beach getaway. I never got to make any new designs for you, my dollings. But creativity never escaped me! I've never really abandoned sketching, drawing, painting. I always daydream about making images in between. I feel peaceful when I sketch with a pencil, or if I mix paints, and lay them on paper or canvas. The sound of my marking is just so soothing, it's perfect to allow myself to just let it all go. When I paint or draw, something whispers to me, "it's gonna be okay" . 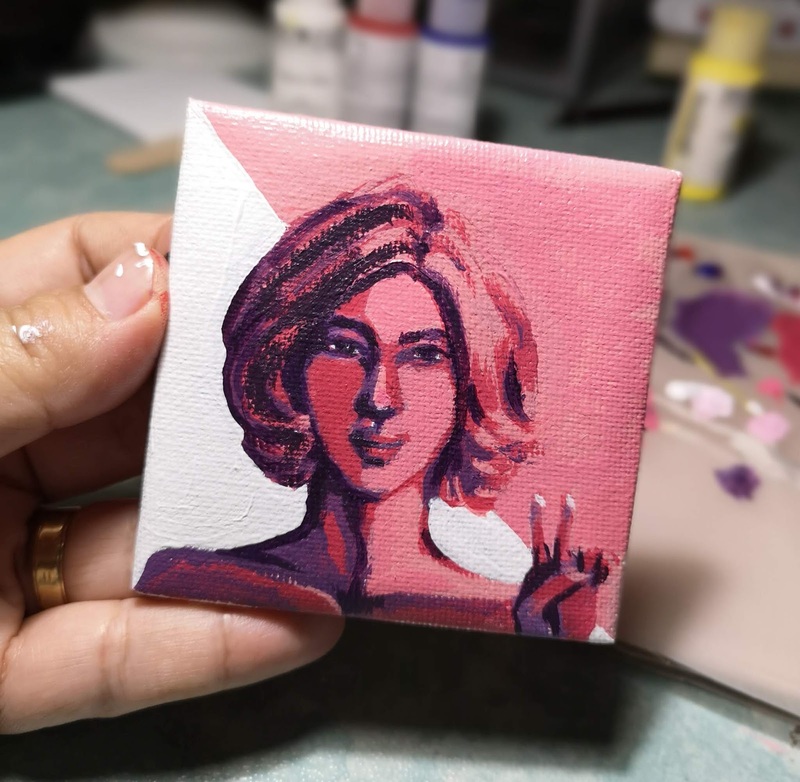 Here are my paintings in the past weeks or so..
to not think about both time and money. "there you go again with your impractical ways..."
How is happiness impractical, my dollings? That's what I will leave with for you now, my dear friends..
Hey, dollings! I hope things are going well over your little corner of the universe. 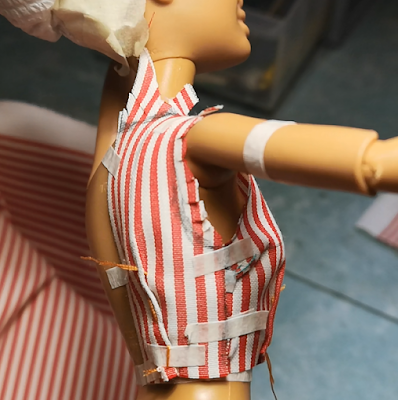 So, indeed this post is about my process of adding sleeves to my dolls' sleeved tops, tees and dresses. and hopefully explain the missing points here. 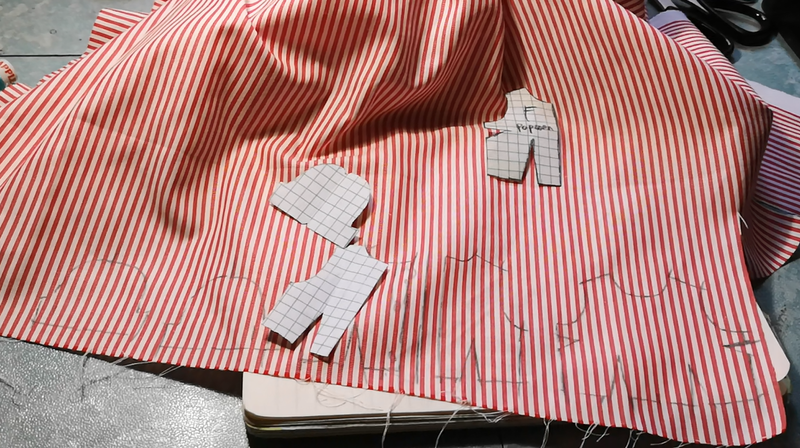 Start by drafting the bodice sloper first. 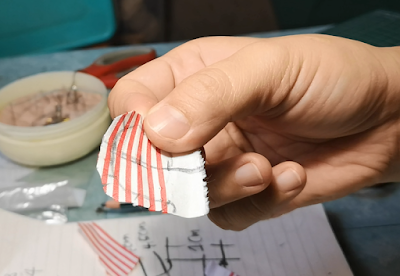 I have a detailed video on how I draft a sloper here, in case you want a video version. and another half at the back. Below is the front bodice sloper, which is only half. We're making just one sleeve for demonstration so I'm not making a full bodice sloper. and to find the curves I want. At this stage, I also tuck in my vertical and bust darts. I start this stage by measuring the arm hole circumference. and the back half is 3.5cm. which in my illustration is noted by 3 levels of curved lines. I have 3 arrows there for each centimeter from the top. then center of the arm to the front, as I measure like in the photo below. measure the sleeve hem circumference. Decide how tight or loose your sleeve hem circumference at this stage. in a new sleeve illustration. let's transfer them on an actual fabric. 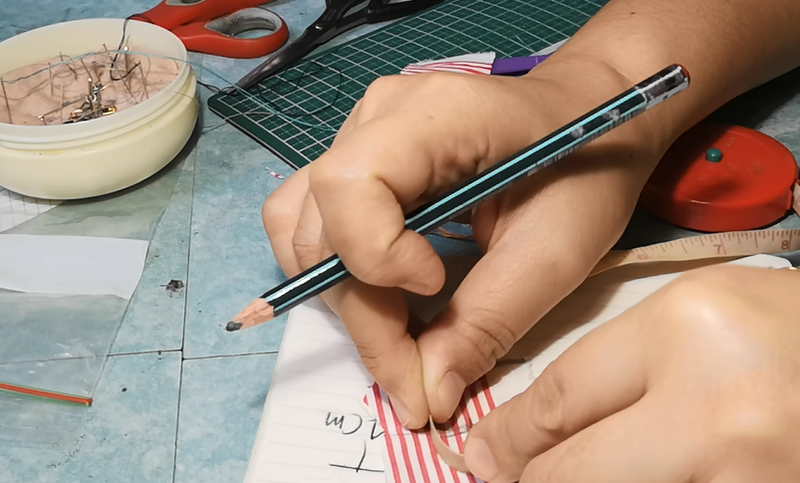 which is 4cm, and use it as my pattern's widest area. then stop for my actual sleeve length. as this is our distance between armpit and hem. like a sleeve curve up the shoulder tip. 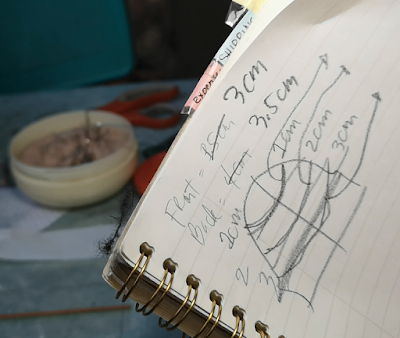 Our actual sleeve measurements on the fabric, yay! so it's easy to tape unto our bodice sloper. 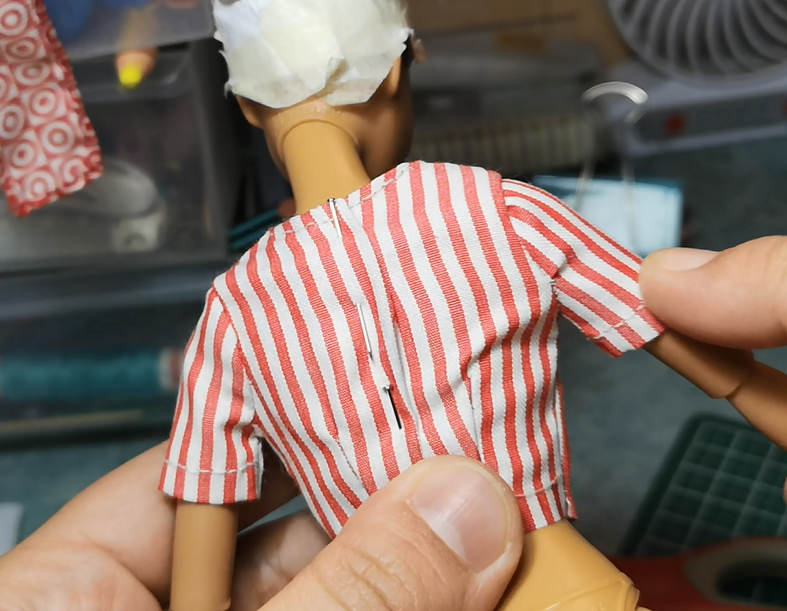 so your pattern can easily lay flat on the doll. unto the shoulder tip of the bodice sloper. 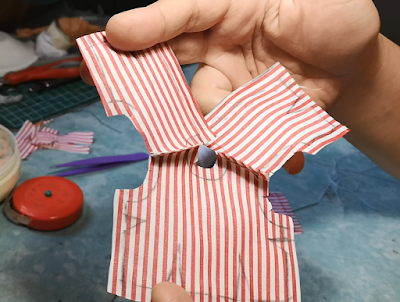 around the arm hole of the bodice sloper. transfer them to something that you can reuse over and over again. 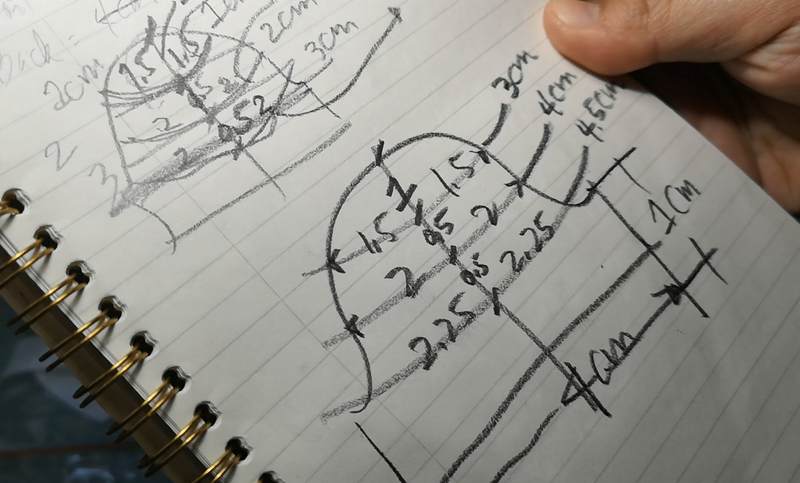 I use graphing/math paper because the grids help a lot with keeping my lines straight. so they don't tear apart with reuse. Can't wait to try and see if our pattern looks great! let's start with the shoulder seams. Then the darts, bust and vertical, next. but basically it's the same techniques used. Please check that one out if you haven't done a similar process yet. Start here, of you're from my youtube how-to shift dress playlist..
Hey, thanks for coming back. after checking my videos, right? 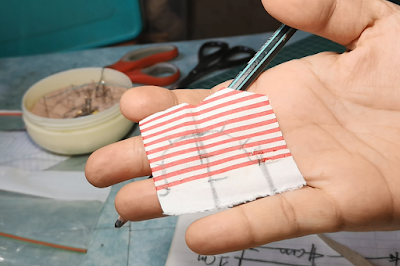 And here's our final pattern prototype. and I'll just tweak it a bit depending on the new design I want. sleeves are hard to make and this mini demo has taught me so much. and do it when I can. I wish you an awesome weekend, dearies and see you next crafting time! 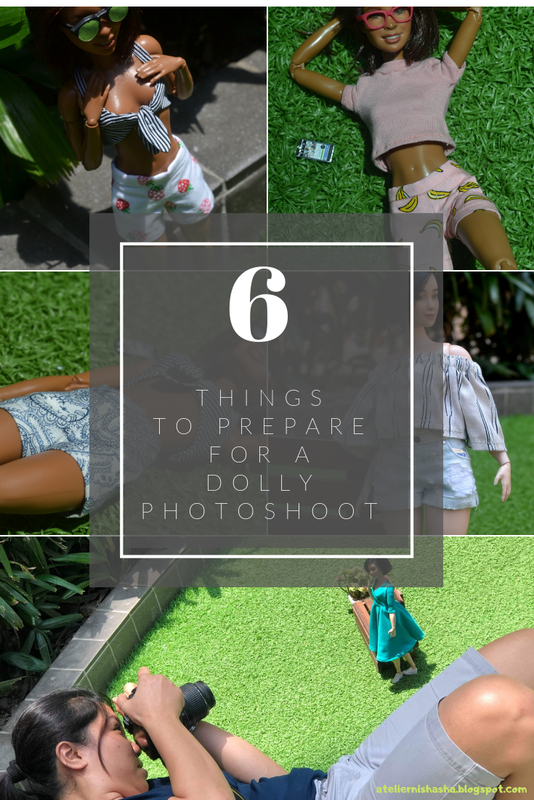 Honestly, dollings, I sometimes get reluctant to go out and take dolly photos simply because it's just too much work. Imagine, YOU ALONE are your own team of a creative director, stylist, hair and makeup artist, photographer, assistant among other roles, to have a successful marketing campaign. Oh, and yeah, did I mention I also designed and produced the garment myself? Since most of my photo shoots are aimed at marketing my latest creations, I make sure that the new pieces is ready to be photographed. That means they are clean, neat, and have matching pieces if they are not an entire outfit. This is when my staple tops and shorts come in handy. 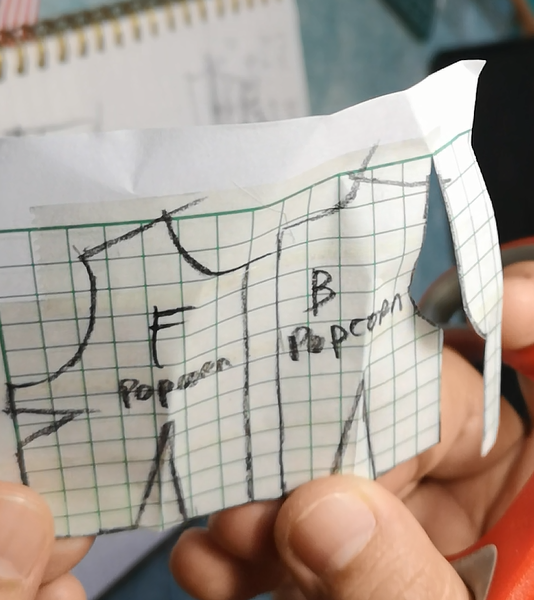 My staple garments are mostly in neutral colors or are easy to mix and match with so that I don't need to stress out on coming up with a new piece just to complement my new creation. I choose the models that most complement the outfits. If I have a variety of outfits to shoot, I make sure each outfit is worn by the most suited models, skin tone-wise. If my outfit is white, or bright-colored, my tan girls get the job. 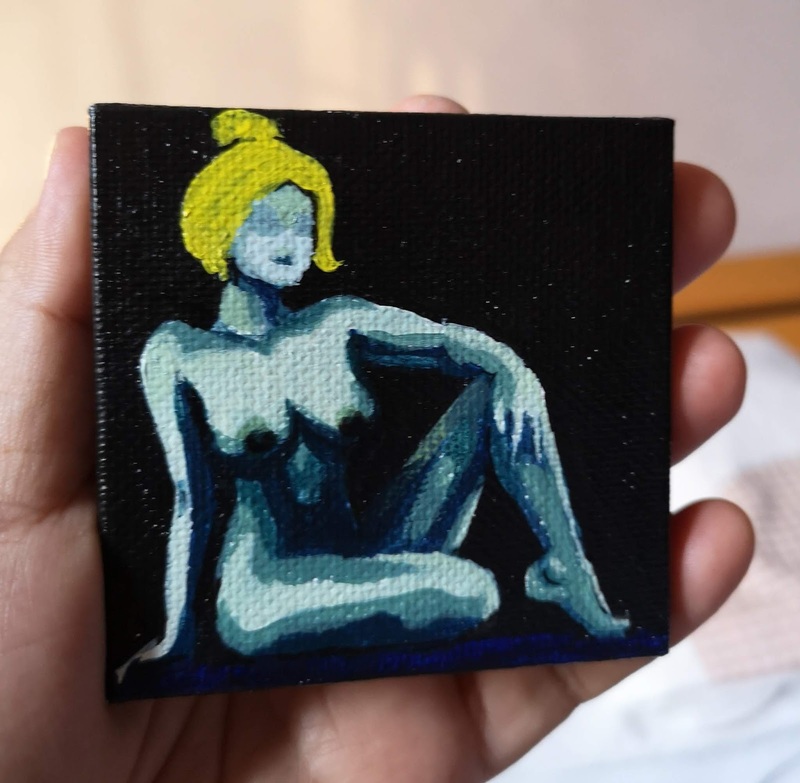 If the outfit is dark, I choose a light-skinned girl so the contrast will be interesting. I am usually using the idea of a girl just strolling by, checking her phone or just chilling. I like that my dolls look like they are "happy and at peace" with everything around them. It gives me the positive vibe. It also helps that you can prepare some scenes that would fit your social media platforms. For my recent shoots, I first take photos that highlight the clothes because I use them in my product listings. Then I follow with fun, lifestyle types of shots. I also take short videos. They might be useful for future montage projects at my youtube channel. 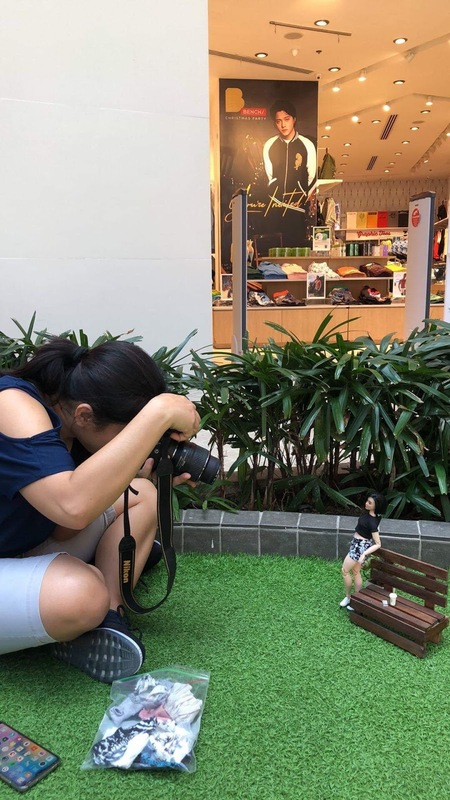 Since you already kind of figured out what they will be doing in their poses, you will know next what to bring for your props and accessories. Aside from shoes, my go-to pieces are a bench, a drink, a phone, sunglasses and sometimes a bag. My girls don't wear a lot of jewelry so I seldom bring some, though it also depends on the outfit. Some outfits require bling, you know. I make sure my camera has sufficient memory for the project, and that its battery is full. I also bring a piece of white paper to be used as a bounced light source. Sometimes, I like to shoot at low exposure but I still need to highlight the face, so the white paper is such my instant lifesaver. I also bring a comb, a water spray, napkin, a q-tip, a painting brush that I use for removing stuff from the clothes or from the doll. Oh, I use masking tape as a lint remover, too LOL. It works awesome every time! I never forget also to bring a set of hand sewing tools just in case. 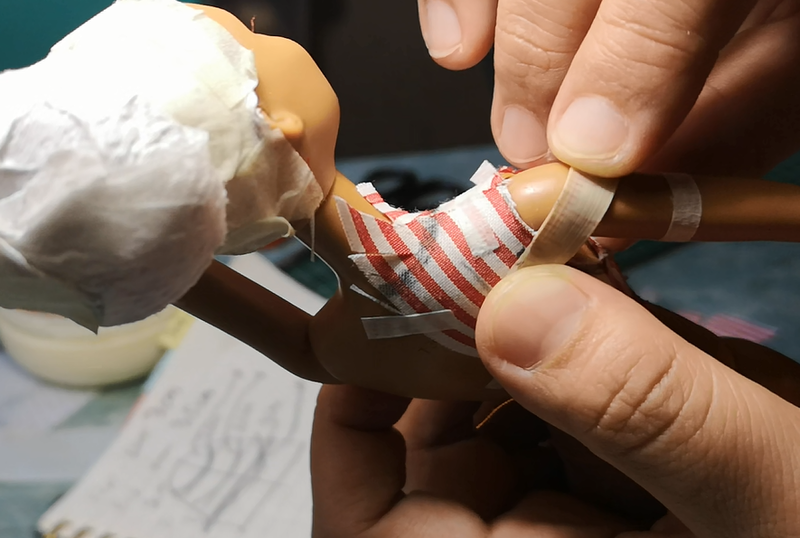 To make the doll stand, I bring a small stick for her to lean on. I keep these small tools together in a pouch, separate from the doll and the outfits. I just make sure I'm healthy when I'm out for a shoot. I bring a big bag to put all my photo shoot stuff in it, and I make sure I have lots of water with me, especially when it's hot. I love taking photos when the sun is out, so I gotta improvise and make sure I don't dehydrate. Sometimes, I'm with family or friends when I do these shoots. 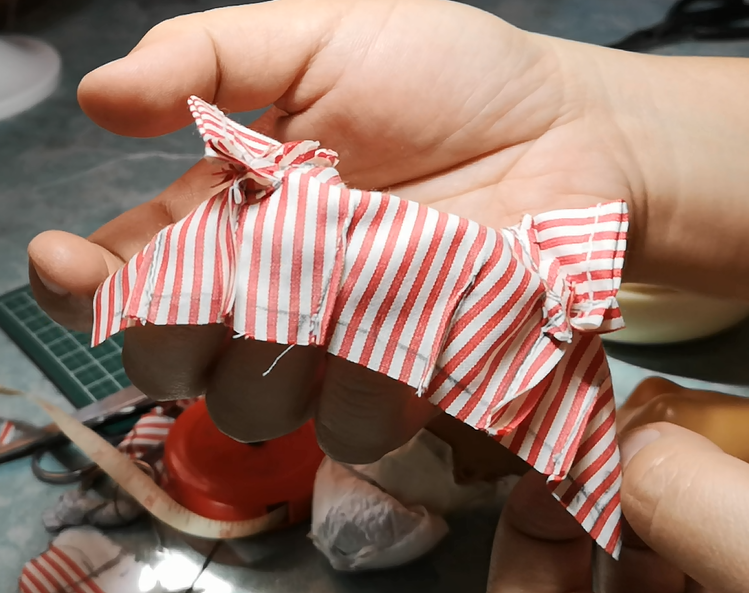 They can lend a hand and that is very much appreciated, most especially when you're in a crowded place with people being weirded out by what you are doing LOL.. So yeah, that's all that I usually prepare when I'm off for a sunny photo shoot the next day. If you have your own tips and tricks as to how to have a successful dolly photo shoot, please let us know in the comments section below. It would be so much fun to talk about this "weird" thing we do here for sure. A how-to post is also available, if you like, here. at the left column for you guys to check out. That would be it for this weekend, loves. I'll see you on the next! 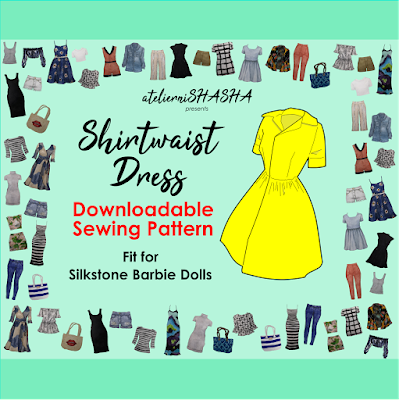 Firstly, yay I finally have some of my sewing patterns scanned, formatted in PDF and listed on my online shops available for download. I had been wanting to do this even before I thought of quitting my day job to focus on the shop. I was once in the technical and copy writing business so I had experience with publication. It took a loooong while but I think what really pushed me to start working on it was to heed a call during my 7th shop anniversary. 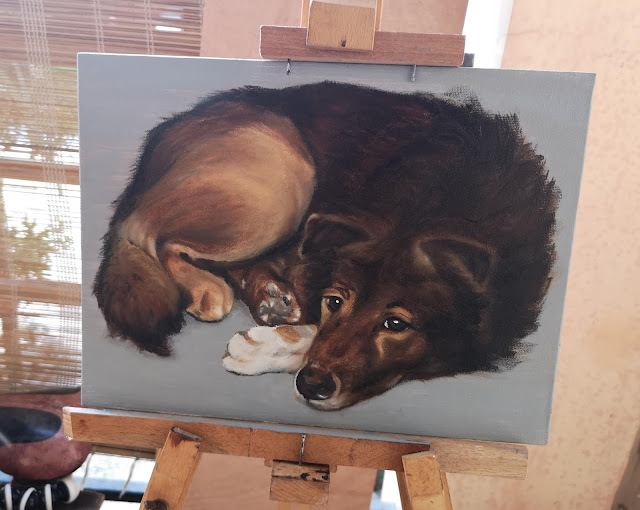 I wanted so much to share what I have to the community. I want to have a giveaway where I can share how much creativity can save us from this neurotic society and its problems. I thought that if I start sharing my patterns, someone on the fence of making their own dolly clothes will be inspired to actually start doing it. When I was just starting to make my own patterns, there's so much resistance and very little skills, so it took me sooooo long to improve. 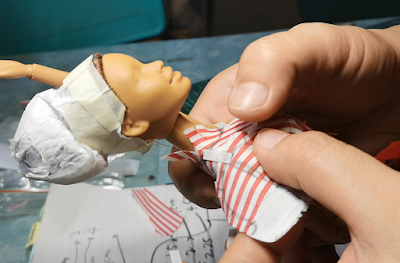 I know I needed to understand patternmaking to be able to make the tiny garments that I want to see in my dolls, but at that time, there wasn't enough information and tools available for me. So, yeah, I got myself a scanner and I started making layouts. 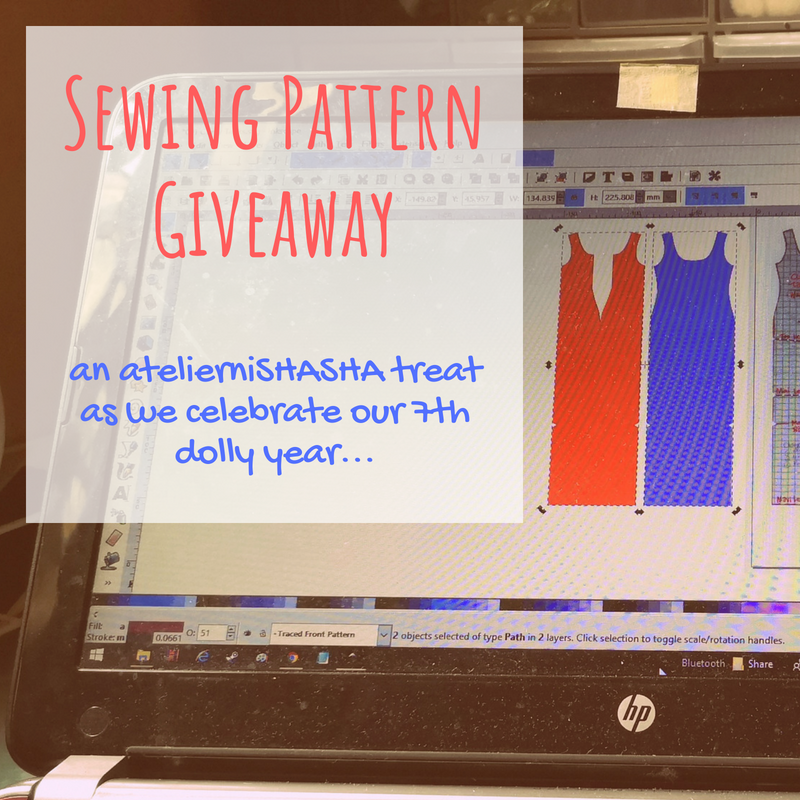 I gave away 10 patterns for my 7th anniversary raffle winners. 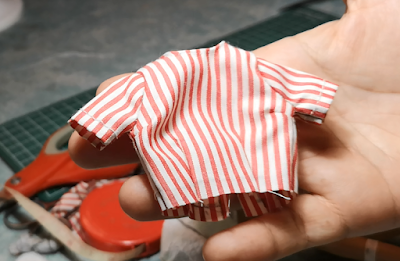 One of them is Vero of @doll_magnolia, who is having such a fun time making her own hoodie pullovers from the patterns I made for her. And also, I have added more how-to videos at my Youtube channel, yay! 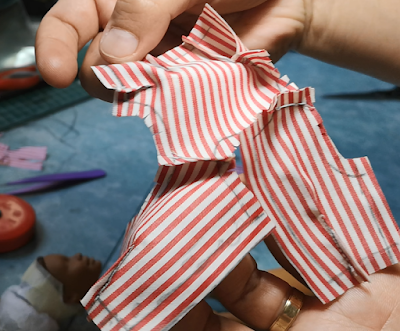 These videos are the made to support the PDF patterns. I can't believe I finally did it. It took me so long to figure out how to format the videos but so far, they just came out naturally. I hope you can check out these videos, too. 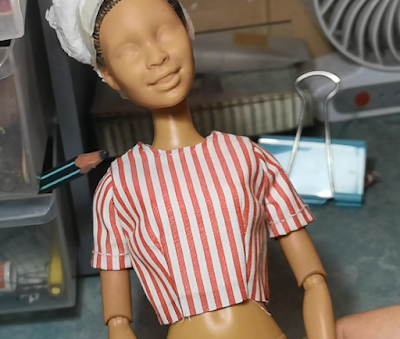 I also added new dolls, and let go of some last 2018. It was sad to let go of the ones that had been with me since the start but I guess, it's time that they move on to new homes. I'll probably check my current collection some time and make a post about who's been added and who left. Okies. That is it for now. I know I have a lot more to talk about but I will do that in another post. When she said surely that we had creepy, perhaps even unhealthy obsession with dolls, I thought, isn't the sentence supposed to end with a blank, not "dolls"? 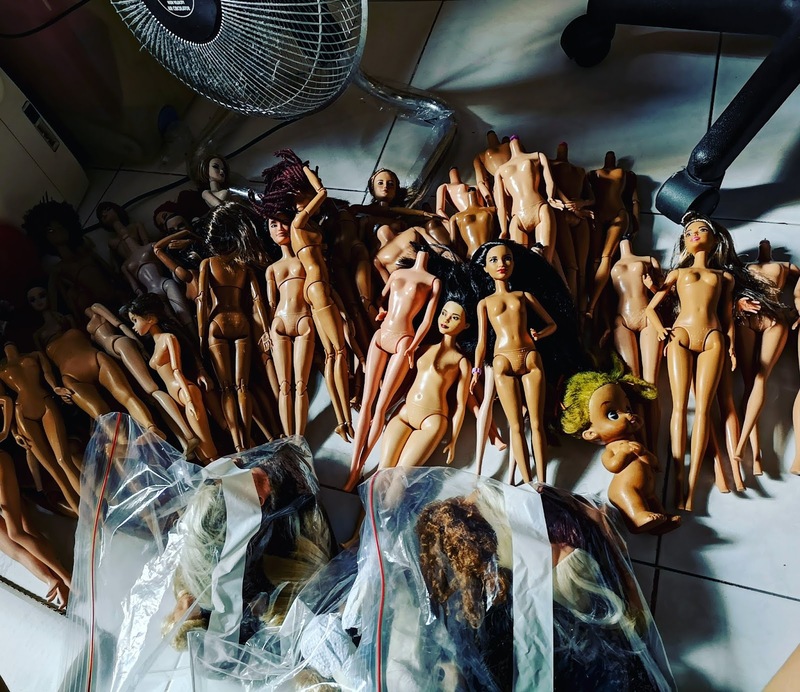 I woke up to a post by a fellow Instagram user who happened to be annoyed by a recent post from NYT concerning doll or miniature lovers. I didn't feel as annoyed, though but the idea made me spend my early morning coffee thinking how that article came to be. 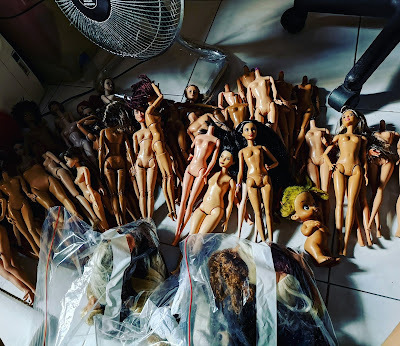 I will start and base my opinion entirely on my own doll collecting experience, because I don't know how it's like for others. But I'm sure there is some overlapping happening here and there. I grew up in a fair-ish world. I had my taste of toys, caring parents and relatives. I'd say I lived a good childhood. But, what got me started with collecting dolls and miniatures since childhood, I can't exactly point out. I just liked to look at and be amazed by how things which were originally human-sized, became small. It's probably for my own peace of mind. Fast forward to now, at 38, I still own dolls and miniatures. It's not too obsessive, I guess since I've seen quantities and commercial values of collections more than 100 times my own. But I guess the idea of keeping them is the obsessive part. We all try to keep things. We all try to capture, and hold for as long as we can, some things that make us feel good. When we experience a great feeling or connection, we save it in the folders of our brains as "Great feeling". And as we go on with our lives, we are eventually presented with new things that remind us of that great feeling. Then we try to capture that thing. We buy it, keep it, and thinking, "Yussss! I'll have this great feeling forever!" Feel, capture/collect, repeat. "Surely some people have creepy, perhaps even unhealthy obsession with _______________." Books. Clothes. Bags. Perfumes. Money. Houses. Cars. Pets. Canned goods. Hobby tools. Shoes. Sorry, I know I sound lazy with that super short list but my world is too limited. But my point is, anybody has an obsession with trying to capture an experience in a thing. And I guess, that is pretty much simply because it's a human thing. We live to survive. And for as long as humans existed, we devised survival tactics according to how our worlds operate at the time. Survival started with just water, shelter and food. Okay, air of course. And of course to defecate. It was such a simple cycle. Then our egos told us we need clothes because the weather can sometimes make us sick if we roam around naked all the time. And then tools to protect us from other organisms that threaten our existence. And.. okay, you get the point, right? Fast forward to the 21st century, our survival tactics have developed into complicated layers that are aptly on track with the current world. But basically, we enjoyed survival too much that we do anything to continue surviving. We collect ways to survive. We collect to survive. We also let out things to survive. It's the process. It's the cycle. So, I understand if people don't see it in my perspective, why I collect dolls and miniatures, and why I let out/defecate/detoxify through creating, by crafting. Those people had their own perspective of surviving. Their collections might just be creepier than mine! Even the minimalists have collections! They collect an image of themselves as minimalists. They collect ideas of what being a minimalist should be. Everyone is a collector. It's a way of surviving. So, shall we continue with our game, then? Week 4 Sewing Pattern Giveway Winners - Yay! Congrats! and get to working on your winnings right away! last draw on our Week 5. 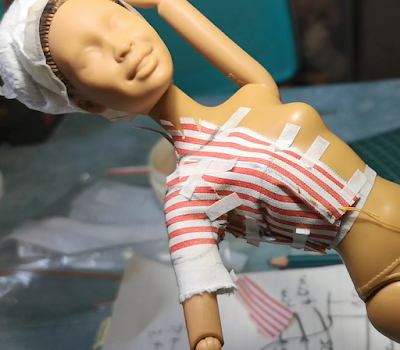 In the mean time, happy doll dress up and doll clothes making, dollings! Week 3 Pattern Giveaway Winners - CONGRATS!!! Thank you so much for continuously supporting my little craft! I hope you have fun crafting your doll clothes! Super thanks to ALL who participated. don't lose hope to win your dream pattern, ayt? Thank you all for the opportunity to do this! 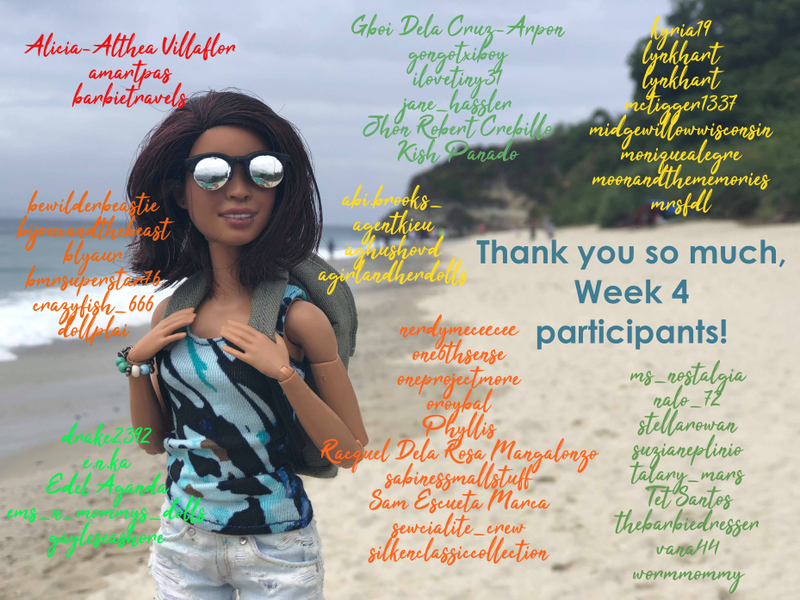 So see you on Week 4, dollings! And wishing you all the luck! Congrats to Week 2 Giveaway Winners! 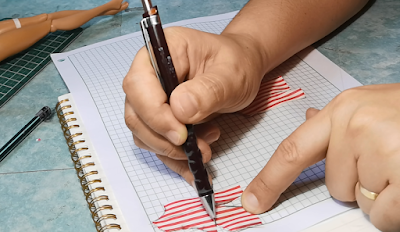 Congratulations to this week's Pattern Giveaway winners! I am excited to make the patterns you guys wished for! And of course, for the rest of the candidates, please don't lose hope. There's still three more weekends of draws. because this skill really opens a new door to super fun adventures. Again, CONGRATS to Week 2 winners! And thank you so much to those who joined. A raffle draw/giveaway is never possible without your support, guys! So now we are moving on to Week 3. Those who joined in the past weeks but never won yet still has the chance to win this week. You can also join via this post. If you haven't yet, please check out the details about this giveaway here. 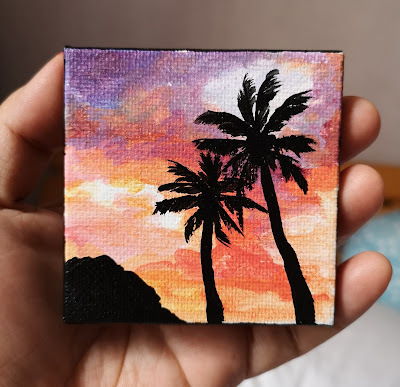 Guys, don't forget the weekend discounts on my Etsy shop. For weekend 2, it's still up for the next few hours. Hmmm... I think I have already mentioned the most important things happening over the atelier the past week. 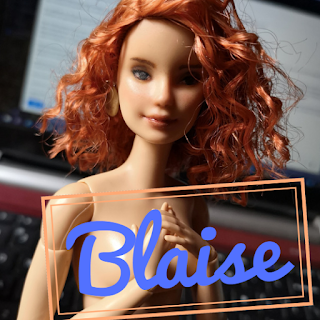 As for Blaise, am I planning to start designing her clothes this coming week. I am actually enticed to give her the same outfit she wore in her recent photoshoot. Do you guys want to win Blaise in that outfit, too? To be honest, I am feeling excited with all these new things I'm working on. I wish you an awesome new week ahead! It's so funny that I was struggling with Instagram stories to make the raffle draws live earlier but yeah, Grandma did it! Haha! Congratulations to our winners for the week, who were from my Facebook page - Syd Ingram Holley, who would love to have a hoodie pattern for her Curvy Barbie and Đỗ Linh, who would like a city shorts pattern for her Barbie doll. Thanks to all who joined - I hope you had fun, and I wish you better luck for the upcoming weekend draws! Yes, we are on to our 7th year together! As I write this, I can't believe that I have already been living the dream life I so longed for since I was a kid. When I was a child, I would always have a corner in our house, where I am comfortably creating. 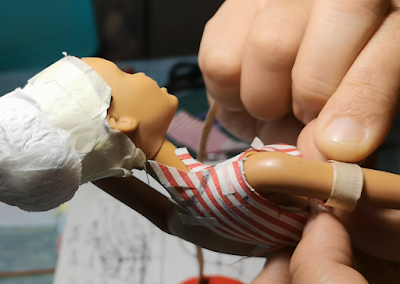 I made doll clothes, wrote short stories, published (to friends) my own version of fairytales and fables, created posters, sewn hair pony ties, crafted tiny books and later in high school - comic books, and many other things that kept me curious and happy at the same time. Then I started college and up until I worked 9-5, I felt not me. I felt like living someone else's life. It's because I wasn't creating things that fascinated me anymore. But in 2011, at 31, I decided I go back to my old, happier self. 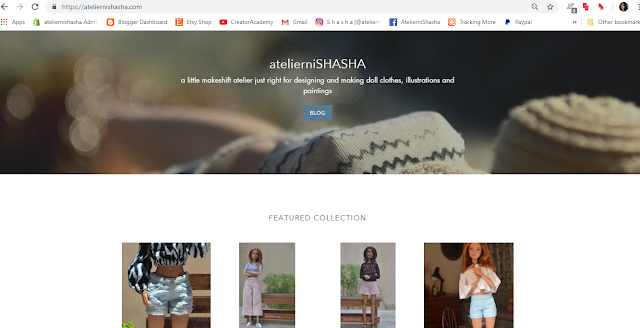 Almost 7 years ago, I opened a doll clothes shop in Etsy. I wasn't that skilled but a few trusted in me. I had 3 sales in my first 3 months and that left me feeling disappointed. But this made me even more curious, and thus, I persisted, and the cycle of happiness started again. Fast forward to today, through all the good and bad times, I felt that I am beginning to understand the balance I need to be able to sustain this craft business - to continue with genuine love, and thus less stress. 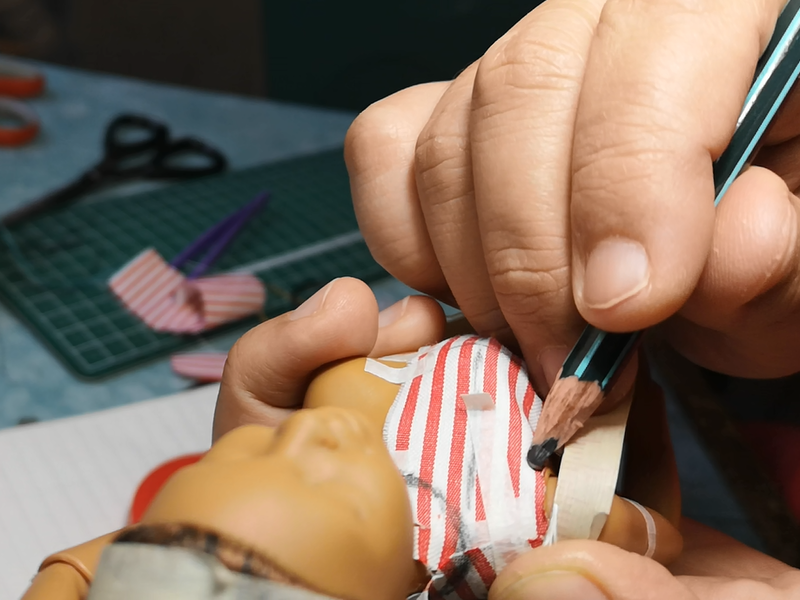 As I celebrate our 7th year together of sharing doll memories, miniature ventures, dioramas, doll repaints, doll photography and even selling away old dolls, I'd like to bounce back to you the love I have felt through the years in this craft, which you guys helped me build and flourish. I hope that with these little presents, I, from this little corner of my house, could extend my deepest gratitude through all these years. First, I'd like to give all of you who have given my tiny creations a space in your hearts and in your collection, the chance to win my 7th anniversary doll, Blaise. She was initially intended to be sold as an OOAK doll in Etsy but I was too scared to sell her. She once had a very light stain on her face, but I was able to remove that a few days ago and that made me so happy. So happy that instead of selling her, I will be giving her to someone who has never tired of supporting me, and who will treasure her forever. The way to enter this one (of three) giveaways, is just to email me (at ateliernishashaatgmaildotcom) why you want her in your collection. For more of Blaise, I will post additional photos of her in Flickr for your reference. I will raffle the candidates in a live video in Instagram, probably by the 30th of September, to cap off the whole month celebration. 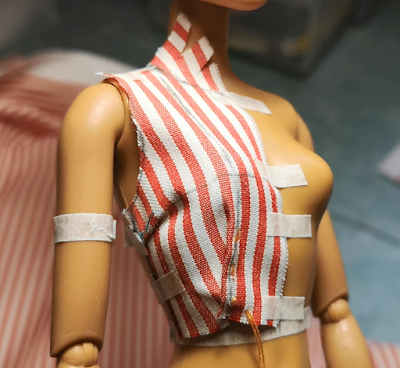 She will come in her original Made to Move Barbie body, and in a very-atelierniSHASHA outfit which I will make soon. 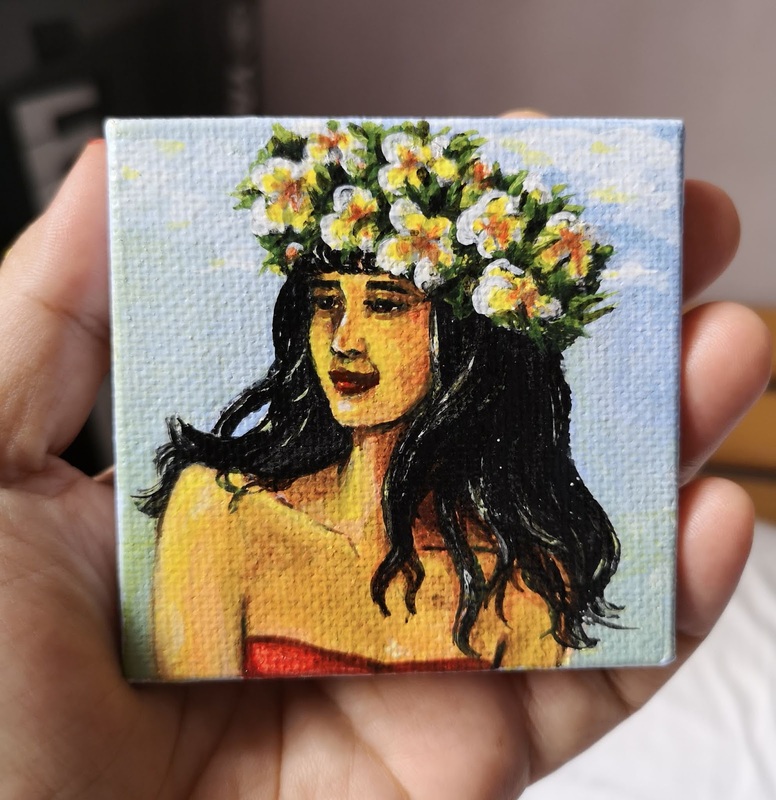 Last but not the least, I will have all items in my Etsy shop, discounted at 10 percent off in all 5 weekends of the month of September. On September 1-2, 8-9, 15-16, 22-23 and 29-30, all items will be at 10% off. You will find the discount code in my shop front. 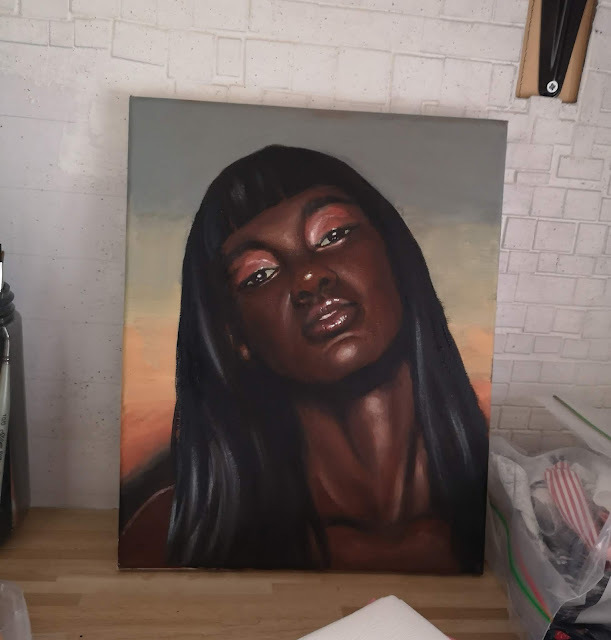 That is just a few of the things I have prepared so I hope with that, you can feel my love and passion and all things wonderful, coming from this tiny corner of my house called atelierniSHASHA. Thank you so much for your time and I wish you a great weekend, dollings.